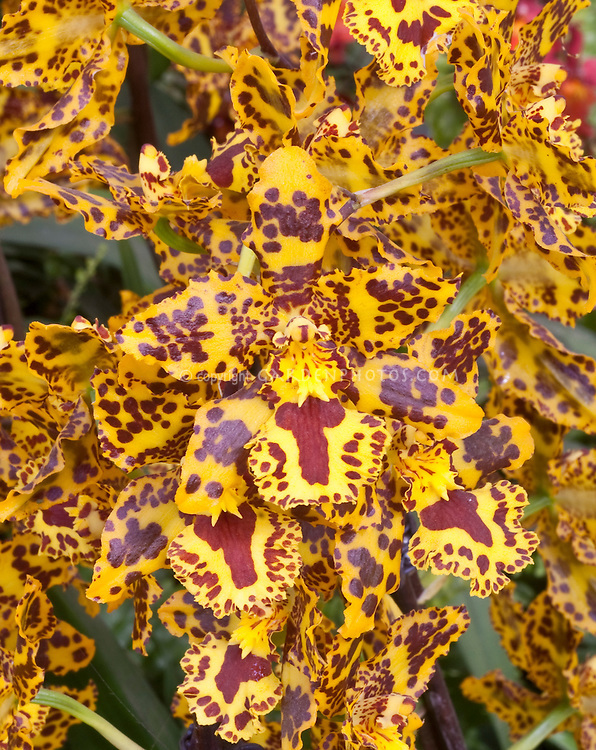 Colmanara aka Odontocidium Wildcat orchid in wild patterns . Correct genus is now Oncostele. Oncostele Wildcat.